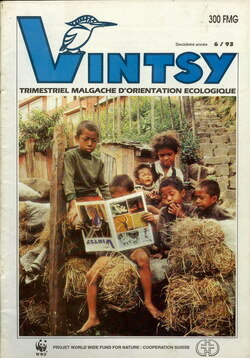 Editors: Jean Anicet Randriantsalama, Jeannot Rarojo Ramahaizamanana, and Lucien Godefroy Maksim. 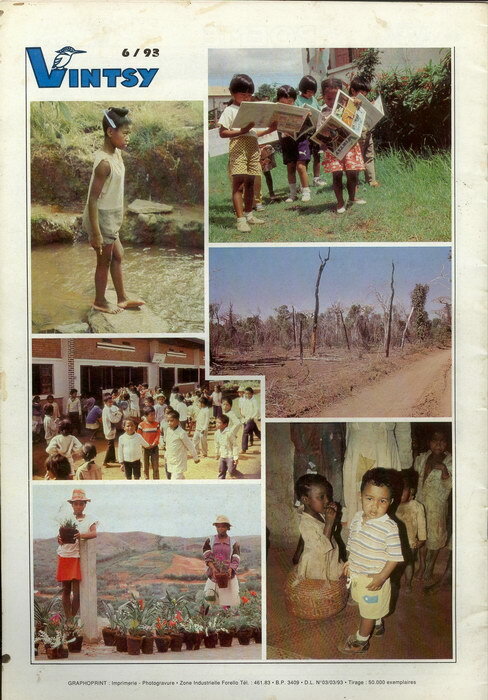 Additional Contributors: Veloson Rajafetra, F�licit�e Fienena, N. Ramangasalama, R. Alban Ramiandrisoa, L�a Rahantaharimanana, Alfred Randriamoeliarivony, Liliane Ratsivalaka Rahantasoa, Randrianarison, Alvine Randriamoeliarivony, and Mijoro Ndrianaivo Randriantahiry. Issue 6 of WWF-Madagascar's conservation magazine "Vintsy". Very Good. Two inconspicuous wormholes through the magazine, otherwise intact.